Clean Image sponsored a radio competition on Dream 107.7FM to win £300 worth of valet services. The competition question was "what is the difference in price between a two and a half year old 3 series BMW in good condition and one in poor condition?". There was a huge response and many people phoned in, most of them guessing that the price difference was around £600-£1000. Simon Kiddle phoned in his answer of £2000 and was declared the winner. He was actually out by £50, the actual answer according to the Parkers Price Guide was £2050. Mr Kiddle brought his car to Clean Image where it was given a full appraisal and Simon decided to buy another £300 worth of smart repair service in addition to the £300 worth of valet service which was his as a prize. Firstly the car was valeted and the paintwork buffed and restored to its former glory. 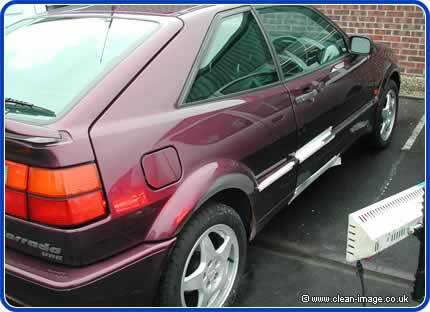 Then some damage to the driver's door and rear off-side wheel arch were repaired and re sprayed. He also had some dents seen to with paintless dent removal. Then the car was finished with a full sealant package from Ultrashield. When we were done, the car was almost in Mint Condition. The car had quite a lot of stone chips which we touched in, this was a huge improvement but obviously would never mean the car was like new without respraying the affected area. 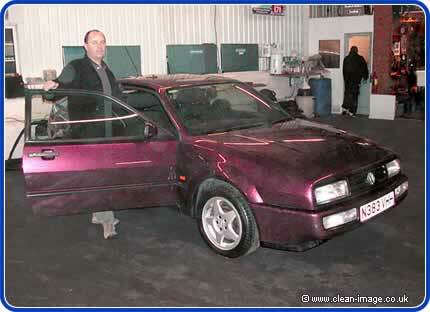 Also the alloy wheels weren't in mint condition but did not warrant refurbishment. A part from these two things, we were looking at a car which was in A1 condition.. almost like looking at a new car. It was estimated at the time that we had increased the value of this car by £1500-£1800 based on the Parkers Price Guide. The £600 worth of valet and smart repair services would have been a very worthwhile investment if Mr Kiddle was going to sell his car, but understandably he planned on keeping this wonderful car. 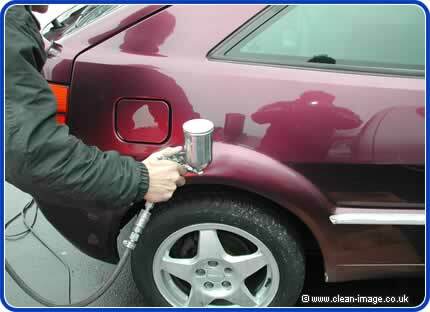 With an Ultrashield 7 year sealant, his car will stay looking new and at the top end of its potential value. I can’t recommend the work carried out at Clean Image highly enough."